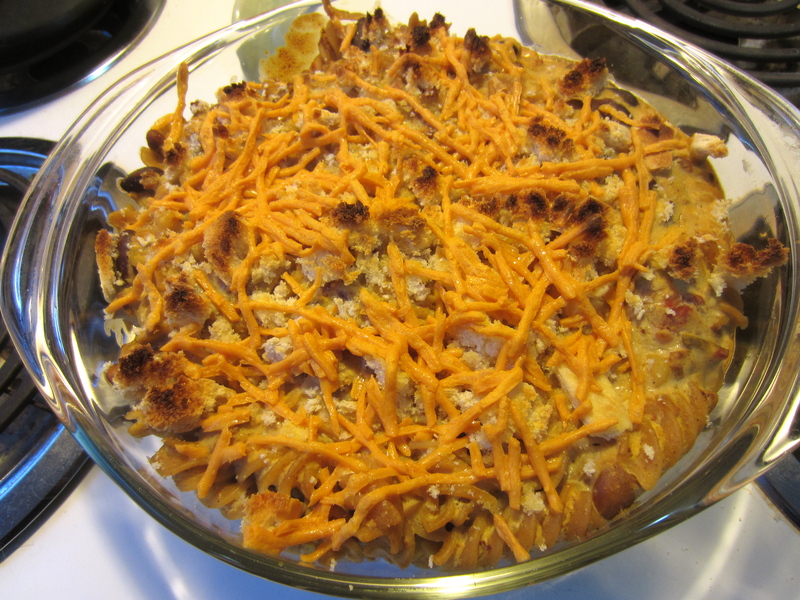 After making a pot of chili, I flipped back a few pages of The Happy Herbivore to the Baked Shells and Cheese recipe. 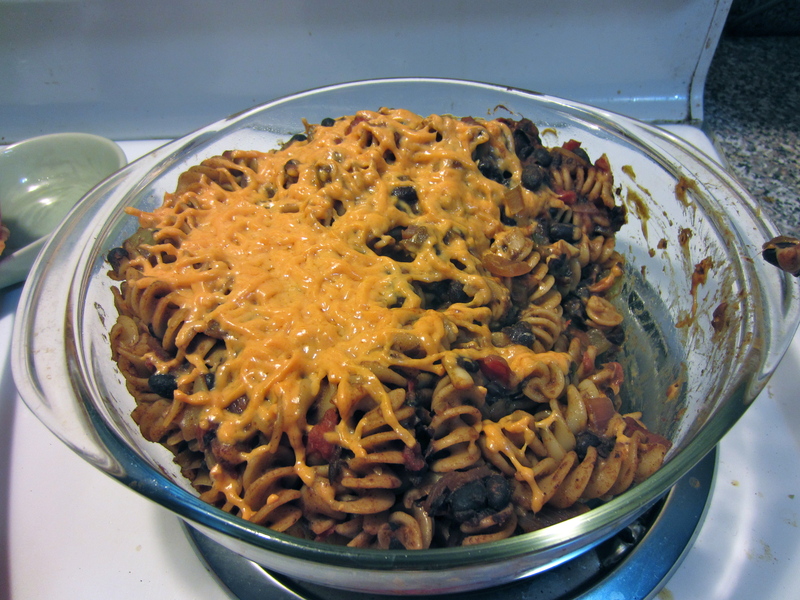 One of the variation was to add a can of chili and make it a chili mac. So I just added a cup and a half or so of the chili to it. 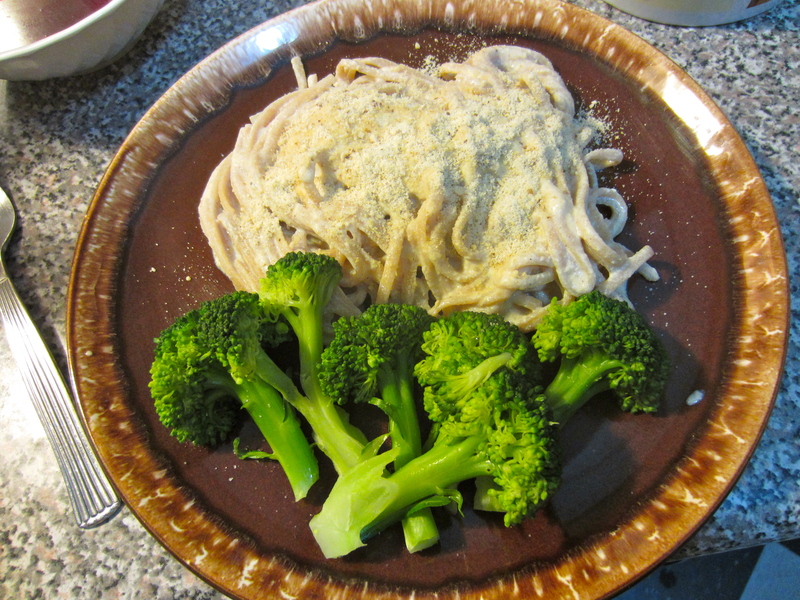 I’ve always been a fan of nutritional yeast cheezy sauces, but I don’t think I’ve ever made one that uses silken tofu in it. It made the sauce really creamy. Very nice. Apparently it’s like glue on plates though. My dishwasher wouldn’t get it off. I had to hand wash some of those dishes. 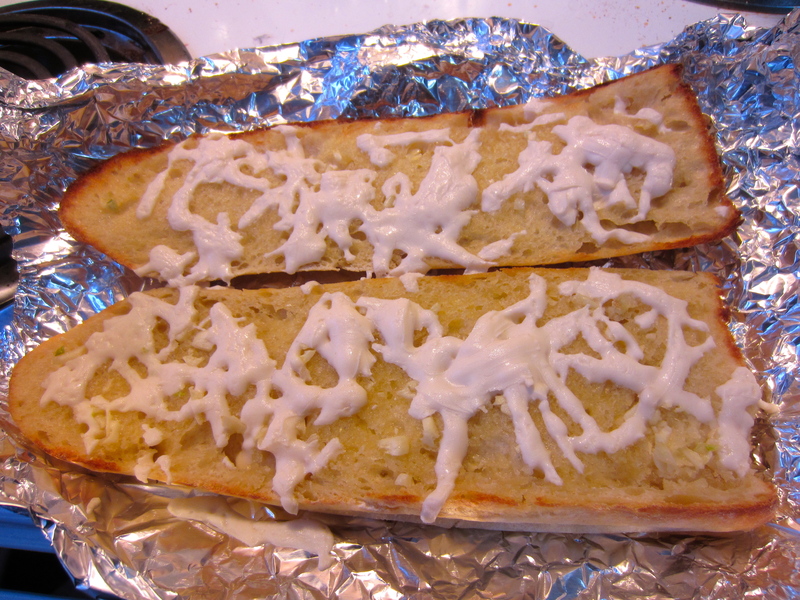 The top is sprinkled with bread crumbs and a little Daiya. Meanwhile, there was still chili leftover. 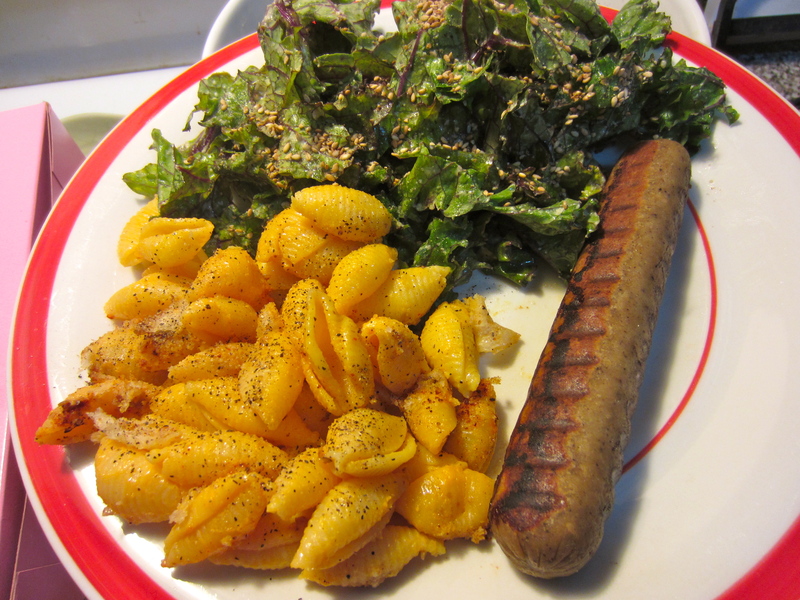 It went on to become lunches and top grilled hot dogs. I really stretched that one out! When you do your grocery shopping once a week, you learn to have some meals with ingredients that will make it to the end of the week, or even beyond if need be. Things happen and you can’t always cook everything when you want. 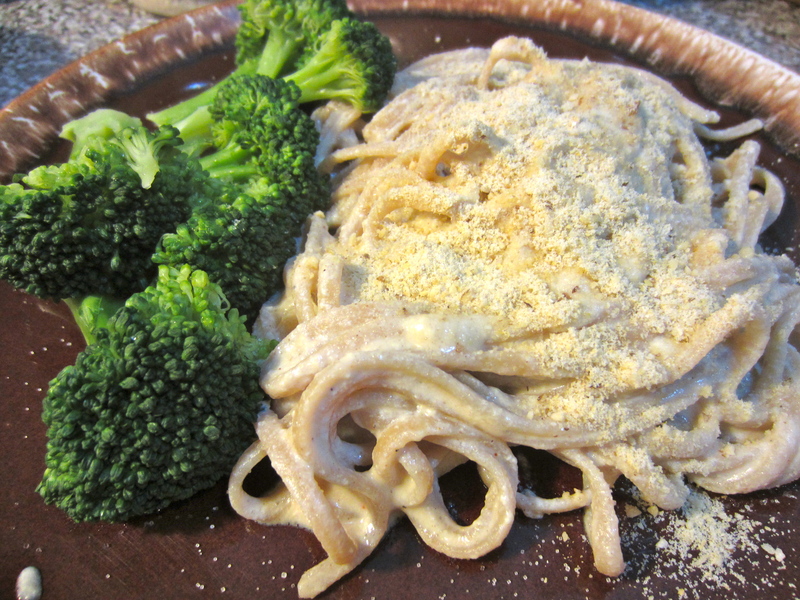 This Fettuccine Alfredo from The Happy Herbivore works well as that dish. And broccoli is one of my go to sturdy vegetables. Other great back-ups are frozen peas and frozen greens. 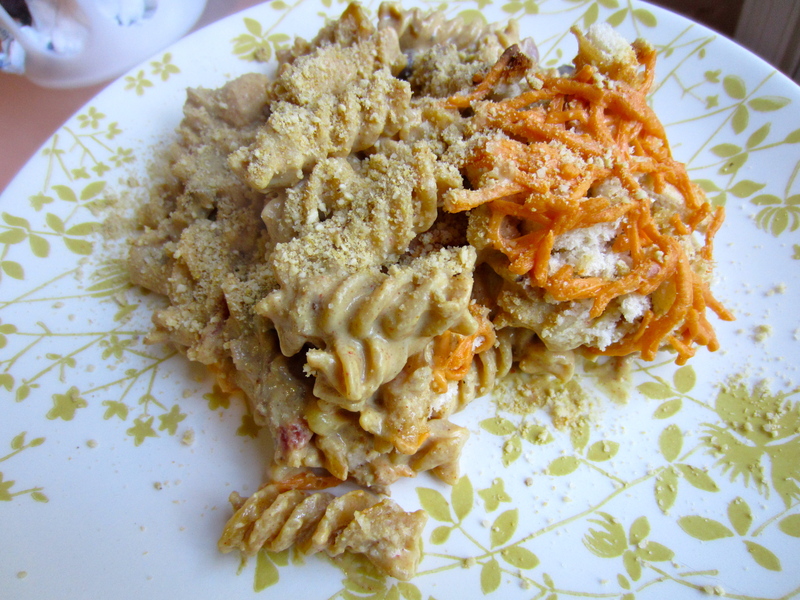 This turned out creamy and a little tangy from the nutritional yeast. It even made an abundance of sauce so there was a little extra to drag my broccoli through. Oh, and this fits in great with a lazy vegan lifestyle. I also used that Good Karma Flax Milk again with good results. 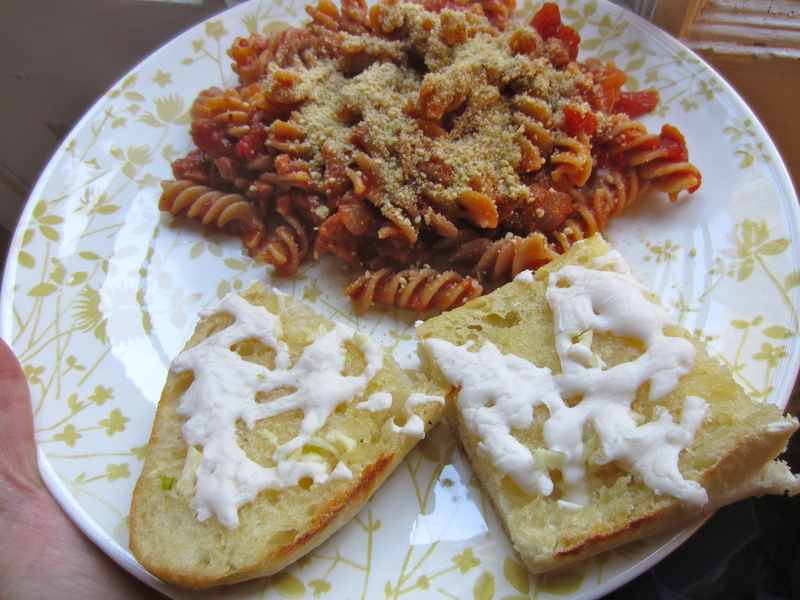 Sprinkled on top is the Vegan Parmesan from Yellow Rose Recipes. I like it better than Parma. Not every meal is planned. Sometimes you look around your kitchen and see what you can do with what you’ve got. 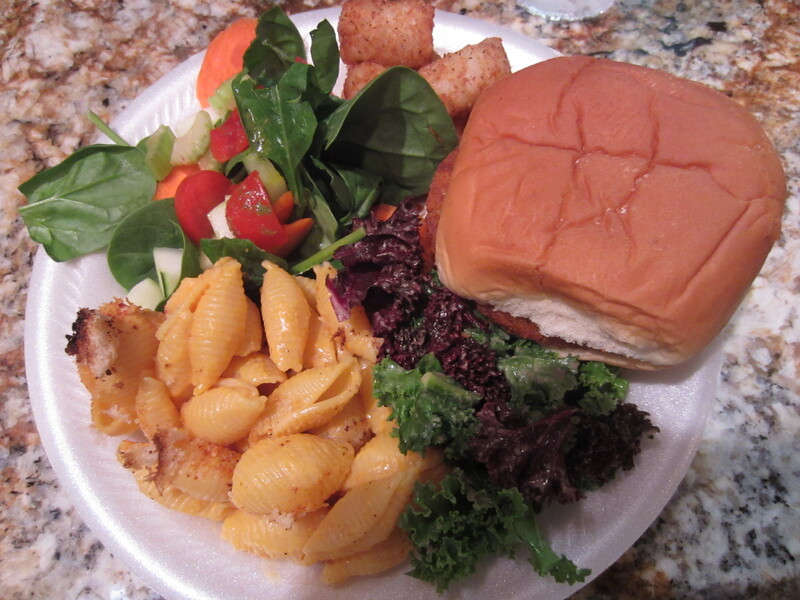 This was one of those meals. 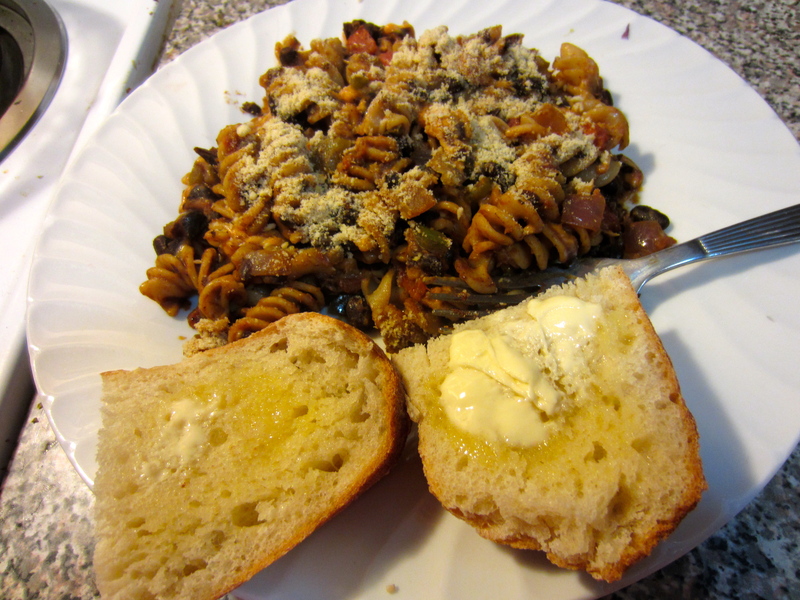 Pasta, black beans, Daiya, tomatoes, tomato paste, bell pepper, onion, a jalapeño … sounds like a chili mac! And indeed it was. 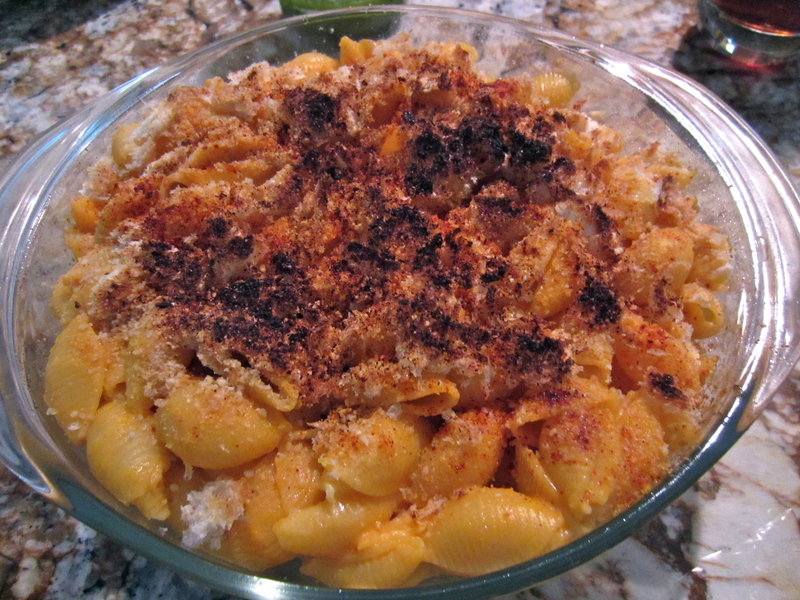 Chili powder, garlic, cumin, cayenne, maybe some oregano … sorry, this is definitely no recipe. If you find yourself afraid to stray from recipes, just keep cooking things. Once you’ve cooked enough things you will eventually be able to collect ingredients and make a meal out of them without outside help.